Accusing Chief Minister Ibobi Singh of not doing anything to mitigate the hardships faced by the people of Manipur due to economic blockade, Union HRD minster Prakash Javadekar said the people are ready to bring in a change in government in the coming state assembly election. "The Congress government has made Manipur one of the worst states and it is a complete failure," he told reporters here and added, "all are waiting for the elections and that the decision has been made already". 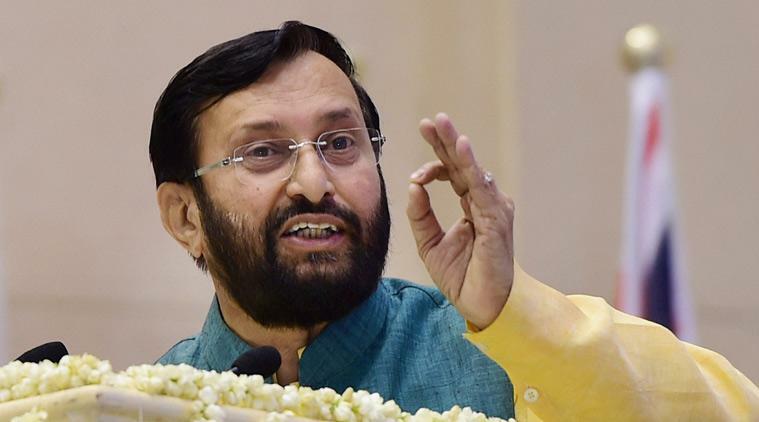 Javadekar, who is on a two-day visit to the state in connection with the assembly election scheduled early next year, said, "The Congress government is playing a dangerous game of divide and rule. The state government is fully responsible for the ongoing economic blockade causing tremendous suffering to the people." "The state government is not doing anything to mitigate the hardship faced by the masses," he said. He said that the security forces in Manipur along with the help of paramilitary forces ensured that hundreds of stranded trucks at Mao Gate in Senapati district, Jiribam district and neighbouring Nagaland were brought in despite the ongoing economic blockade. Promising jobs and education to all, the Union Minister said the BJP will be able to "defeat the money power of the Congress government". "The philosophy of the Congress government is to distribute money, before coming to power and then collect money after coming to power," he alleged. Javadekar said that BJP would announce its candidates for the assembly poll after the announcement of the election schedule by the Election Commission.